The Government has made significant changes to the ways in which we interpret our GCSE results. 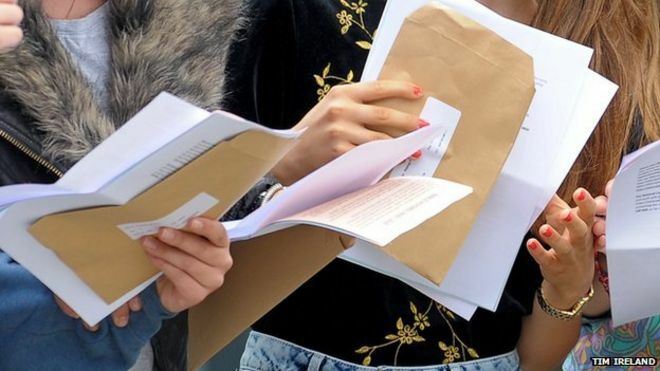 In previous years, schools were judged on the percentage of students who achieved 5 or more GCSE grades at Grades A*-C, including English and Maths. The Progress 8 score for each school is the average of the students’ scores; this is then compared with the progress made by other GCSE students in the same year. Obviously, on Results Day, a school cannot know what the national average is and it then becomes impossible to record and share an accurate Progress 8 score. Hence the EIP (Education Improvement Partnership in Leicester City) and the Leicestershire Secondary Headteachers Association has decided that it is not appropriate – and is potentially misleading – to share unvalidated data at this point. Final and official results will be published by the DFE in January. A school’s score for Attainment 8 (the average of the 8 buckets) will also be made available then – schools have declined to share this information at this point. With thanks to Judgemeadow Community College for information provided.